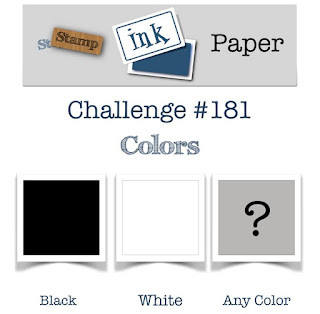 We have a colour challenge this week for you to play along with at Stamp Ink Paper in a classic colour combo of Black and White with a pop of colour of your choice. Here's my card featuring some retired papers and the Butterfly from Springtime Impressions thinlits. My colour is Pool Party to go along with the Basic Black & Whisper White I've used on my card. I've sponged some Pool Party ink onto the flowers on the background dsp to match my layered butterfly and the border on the inside of my card. The card front was cut slightly narrower than the back to show off the pool party border and create some interest on this very easy CAS design. Thanks so much for joining us this week at Stamp Ink Paper. 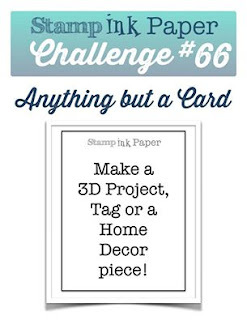 We hope you will join us in this week's colour challenge. Have a great day.